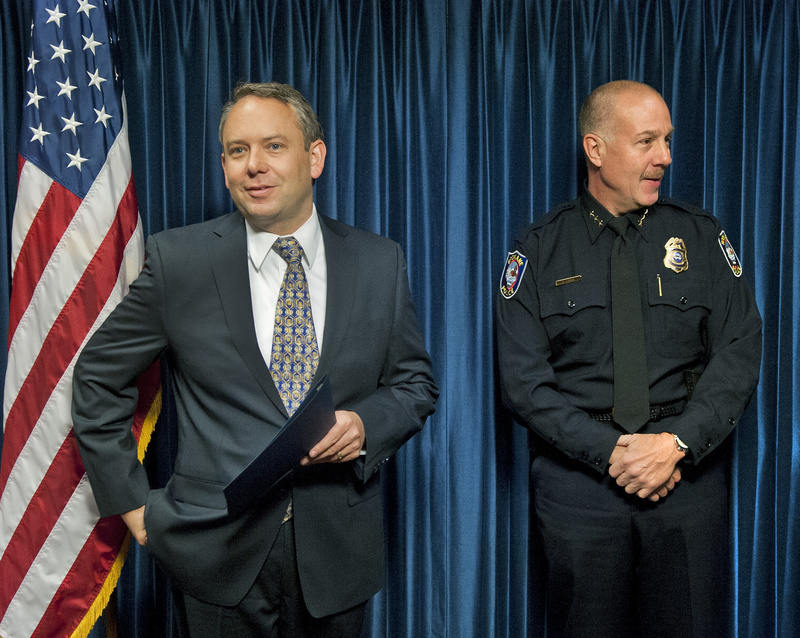 Spokane Mayor David Condon’s plan to boost the number of political appointees at City Hall has been dealt a potentially major setback. Superior Court Judge Kathleen O’Connor has sided with city firefighters who challenged the legality of Condon’s plan to increase the number of positions in the department that could be filled by mayoral appointment rather than by civil service testing. “We felt this wasn’t good for the city or the citizens,” firefighter Don Waller, president of the labor union representing Spokane firefighters, said of the mayor’s plan, which was approved last year by a divided City Council. The same reorganization was used to increase the number of positions in the police department that could be filled by appointment as well, though O’Connor’s ruling was specific only to the fire department changes. It’s unclear whether police unions are contemplating a similar legal challenge. Condon said today he and the city attorney’s office have requested a written ruling from O’Connor and are reviewing their appeal options. The city charter limits the number of mayoral appointments in each department to two, which are generally reserved for department heads and assistant department heads. Condon got around the limits by creating a new organizational structure that elevated the police and fire departments to “divisions,” with each containing separate departments within them. The new “Fire Division” contained seven separate departments, for example, while the “Police Division” contained six separate departments. It increased the number of potential mayoral appointments by 14 in the fire division and 12 in the police division. The fire department was preparing to hire its first additional appointee, a physician who was to serve as a medical adviser on a part-time basis. The police department has filled five of its additional appointments. Critics described the reorganization as little more than “word games,” but the mayor and his backers have argued that greater flexibility is needed to address systemic problems within Spokane’s bureaucracy and ensure that reforms demanded by voters, particularly within the police force, are carried out. The reorganization was narrowly approved last year with a 4-3 vote when the City Council was controlled by conservatives. Control of the council has now shifted, however. Council President Ben Stuckart, who opposed the reorganization last year, already has introduced a proposal to formally scrap the changes at the fire department but leave them intact for the police force. Stuckart said efforts were made to negotiate a compromise that would have reduced the number of mayoral appointees within the police and fire departments in exchange for getting the fire union to drop its legal challenge, but the mayor’s office was uninterested. Civil service in Spokane was created by voters in 1910. It sets up hiring rules and tests to ensure employees are selected by merit and to prevent cronyism. Almost all city workers – except those working in the library system and the one or two managers of any department – are part of civil service. O’Connor’s ruling came Friday in response to both sides seeking what’s called a summary judgment, with the judge reportedly describing the city’s justification for the plan as “ludicrous.” The decision halts the plan from being implemented within the fire department unless the city prevails on appeal.